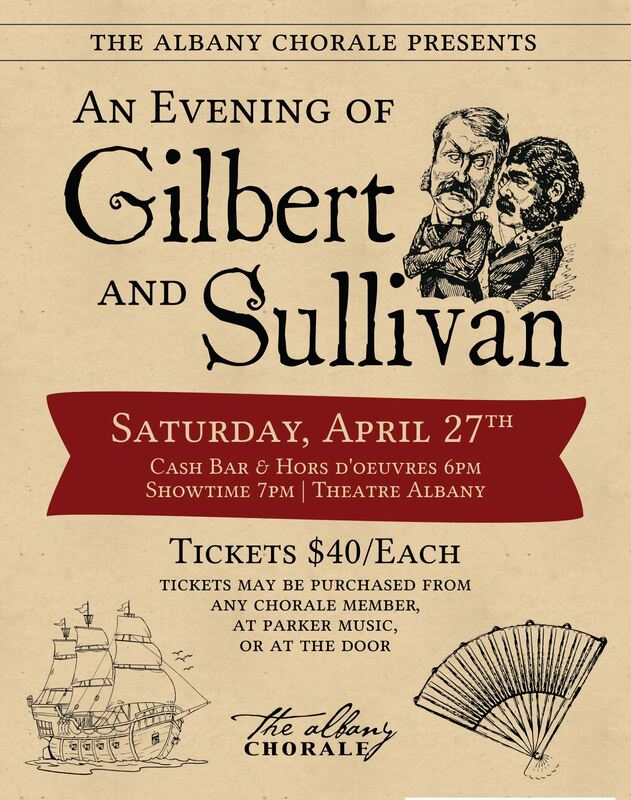 The Albany Chorale presents: An Evening of Gilbert and Sullivan on Saturday, April 27th. Cash bar and hors d'oeuvres at 6PM, showtime at 7PM at Theater Albany. Tickets are $40 each. They may be purchased from any choral member, at Parker Music, or at the door. This event will be located at Theater Albany.